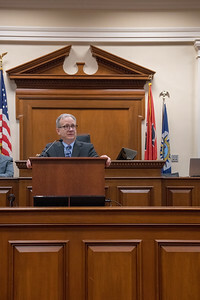 --swearing in ceremonies for Mayor David Briley and Vice Mayor Sheri Weiner, Metro Council Chamber, Metro Courthouse, March 6, 2018. 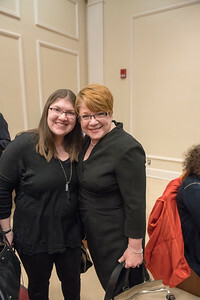 Alison Kirshner and Lisa Perlen--swearing in ceremonies for Mayor David Briley and Vice Mayor Sheri Weiner, Metro Council Chamber, Metro Courthouse, March 6, 2018. 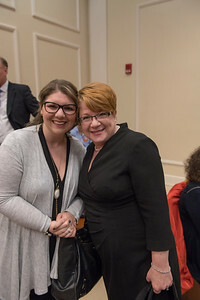 Andrea Kirshner Falik and Lisa Perlen--swearing in ceremonies for Mayor David Briley and Vice Mayor Sheri Weiner, Metro Council Chamber, Metro Courthouse, March 6, 2018. 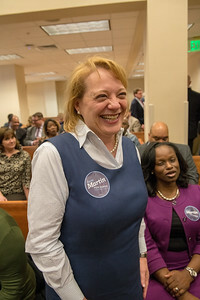 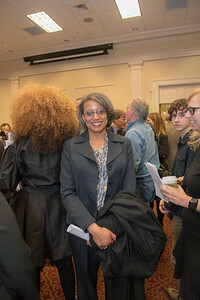 Anne Martin; background right: Andrea Perry--swearing in ceremonies for Mayor David Briley and Vice Mayor Sheri Weiner, Metro Council Chamber, Metro Courthouse, March 6, 2018. 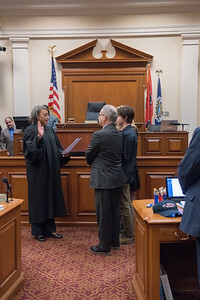 Chancellor Claudia Bonnyman, Circuit Court Judge Tom Brothers and General Sessions Court Judge Melissa Blackburn--swearing in ceremonies for Mayor David Briley and Vice Mayor Sheri Weiner, Metro Council Chamber, Metro Courthouse, March 6, 2018. 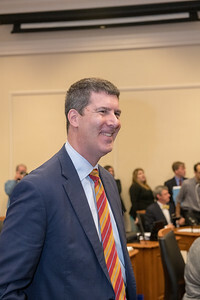 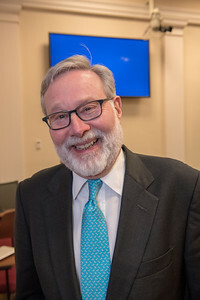 Ed Kindall--swearing in ceremonies for Mayor David Briley and Vice Mayor Sheri Weiner, Metro Council Chamber, Metro Courthouse, March 6, 2018. 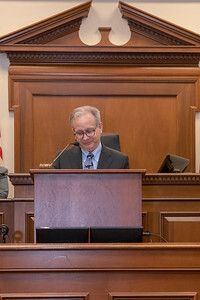 Larry Hagar--swearing in ceremonies for Mayor David Briley and Vice Mayor Sheri Weiner, Metro Council Chamber, Metro Courthouse, March 6, 2018. 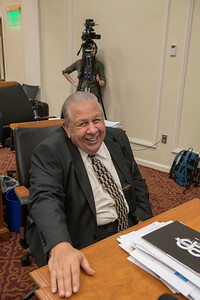 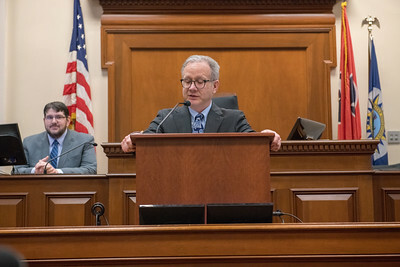 Bob Mendes--swearing in ceremonies for Mayor David Briley and Vice Mayor Sheri Weiner, Metro Council Chamber, Metro Courthouse, March 6, 2018. 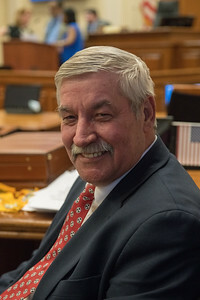 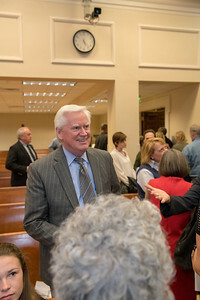 Bill Purcell--swearing in ceremonies for Mayor David Briley and Vice Mayor Sheri Weiner, Metro Council Chamber, Metro Courthouse, March 6, 2018. 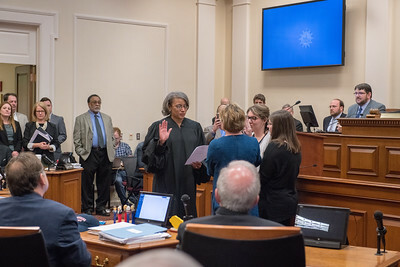 Criminal Court Judge Angelita Dalton administers the oath of office to Vice Mayor Sheri Weiner--swearing in ceremonies for Mayor David Briley and Vice Mayor Sheri Weiner, Metro Council Chamber, Metro Courthouse, March 6, 2018. 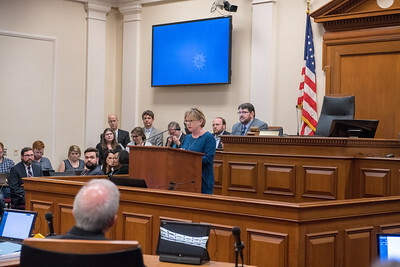 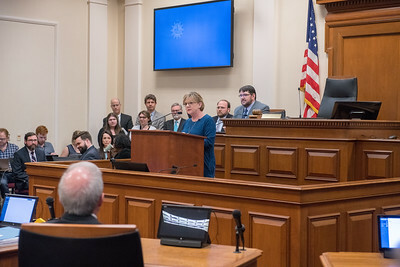 Vice Mayor Sheri Weiner addresses the audience after taking the oath of office--swearing in ceremonies for Mayor David Briley and Vice Mayor Sheri Weiner, Metro Council Chamber, Metro Courthouse, March 6, 2018. 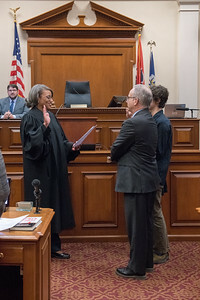 Criminal Court Judge Angelita Dalton administers the oath of office to Mayor David Briley--swearing in ceremonies for Mayor David Briley and Vice Mayor Sheri Weiner, Metro Council Chamber, Metro Courthouse, March 6, 2018. 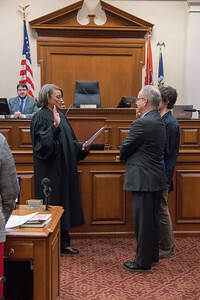 Criminal Court Judge Angelita Dalton administers the oath of office to Mayor David Briley; background left: Jon Cooper--swearing in ceremonies for Mayor David Briley and Vice Mayor Sheri Weiner, Metro Council Chamber, Metro Courthouse, March 6, 2018. 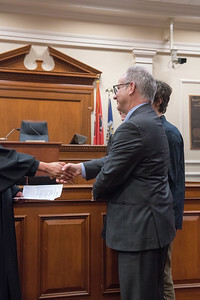 Mayor David Briley shakes the hand of Criminal Court Judge Angelita Dalton following the administration of the oath--swearing in ceremonies for Mayor David Briley and Vice Mayor Sheri Weiner, Metro Council Chamber, Metro Courthouse, March 6, 2018. 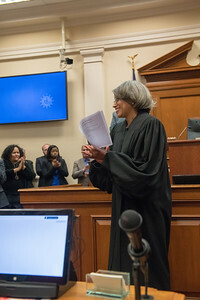 Criminal Court Judge Angelita Dalton--swearing in ceremonies for Mayor David Briley and Vice Mayor Sheri Weiner, Metro Council Chamber, Metro Courthouse, March 6, 2018. 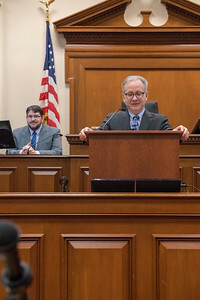 Mayor David Briley begins his inaugral address; background left: Jon Cooper--swearing in ceremonies for Mayor David Briley and Vice Mayor Sheri Weiner, Metro Council Chamber, Metro Courthouse, March 6, 2018. 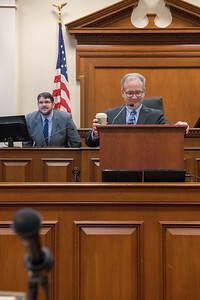 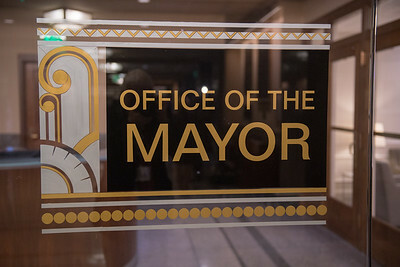 Mayor David Briley delivers his inaugral address; background left: Jon Cooper--swearing in ceremonies for Mayor David Briley and Vice Mayor Sheri Weiner, Metro Council Chamber, Metro Courthouse, March 6, 2018. 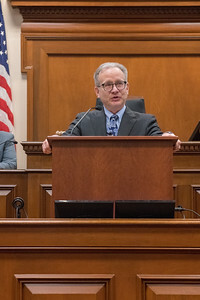 Mayor David Briley delivers his inaugral address--swearing in ceremonies for Mayor David Briley and Vice Mayor Sheri Weiner, Metro Council Chamber, Metro Courthouse, March 6, 2018. 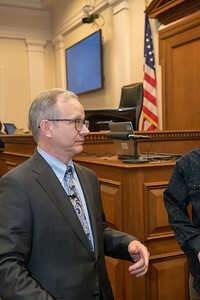 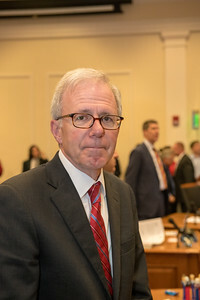 Mayor David Briley immediataely following his inaugral address--swearing in ceremonies for Mayor David Briley and Vice Mayor Sheri Weiner, Metro Council Chamber, Metro Courthouse, March 6, 2018. 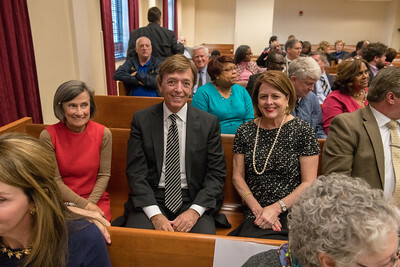 Criminal Court Judge Angelita Dalton; background right, looking at camera: Sam Briley--swearing in ceremonies for Mayor David Briley and Vice Mayor Sheri Weiner, Metro Council Chamber, Metro Courthouse, March 6, 2018. 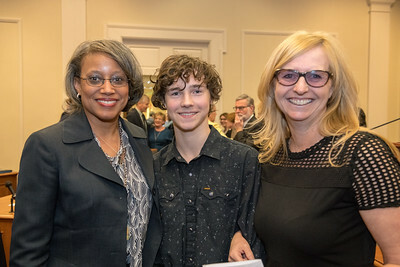 Criminal Court Judge Angelita Dalton, Sam & Jodie Briley--swearing in ceremonies for Mayor David Briley and Vice Mayor Sheri Weiner, Metro Council Chamber, Metro Courthouse, March 6, 2018. 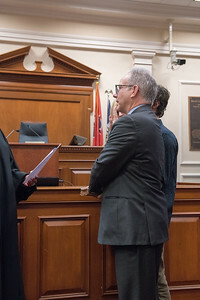 Rich Riebeling--swearing in ceremonies for Mayor David Briley and Vice Mayor Sheri Weiner, Metro Council Chamber, Metro Courthouse, March 6, 2018. 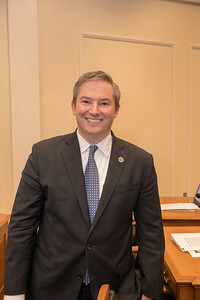 Senator Jeff Yarbro--swearing in ceremonies for Mayor David Briley and Vice Mayor Sheri Weiner, Metro Council Chamber, Metro Courthouse, March 6, 2018. 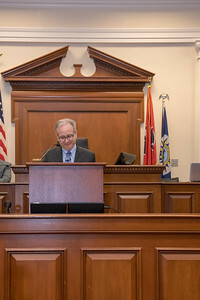 Ed Yarbrough--swearing in ceremonies for Mayor David Briley and Vice Mayor Sheri Weiner, Metro Council Chamber, Metro Courthouse, March 6, 2018. 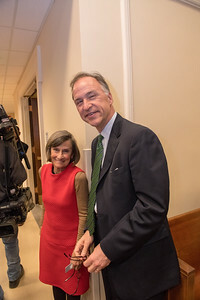 Chancellor Claudia Bonnyman and Gif Thornton--swearing in ceremonies for Mayor David Briley and Vice Mayor Sheri Weiner, Metro Council Chamber, Metro Courthouse, March 6, 2018. 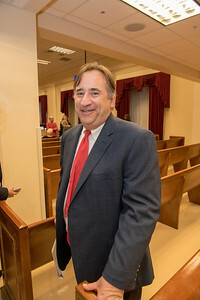 Jim Shulman--swearing in ceremonies for Mayor David Briley and Vice Mayor Sheri Weiner, Metro Council Chamber, Metro Courthouse, March 6, 2018.